Make Sugar-Free Dishes you and your Family will Crave! If you think you can't indulge your love of sweets because you must limit your sugar intake, think again. 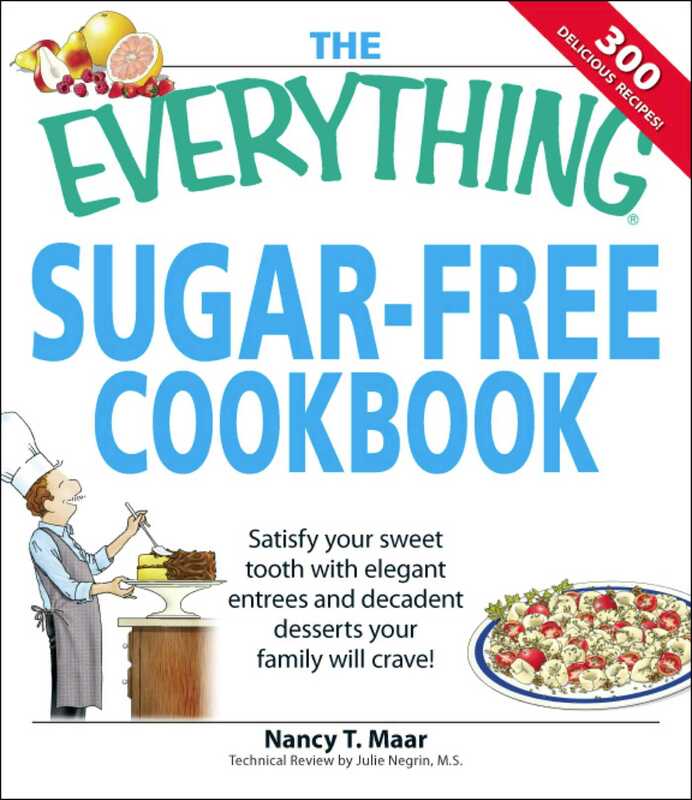 The Everything Sugar-Free Cookbook contains 300 scrumptious recipes that are fun to make, including: New York-Style Cheesecake, Banana Brownies, Orange Mousse with Blueberries, Chocolate-Dipped Strawberries, Family Ice Cream, Strawberry-Stuffed French Toast, and Sweet Tea Sauce. Whether you want to start the day off with a healthy breakfast or treat yourself to a decadent midnight snack, this cookbook has all you need to lead a sugar-free lifestyle. Each recipe has complete nutritional information so you can plan well-rounded meals. Get ready to enjoy la dolce vita without the sugar!